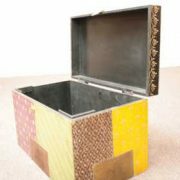 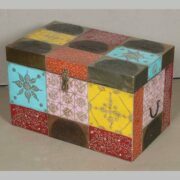 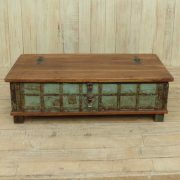 Large Trunk / Coffee Table with coloured front. 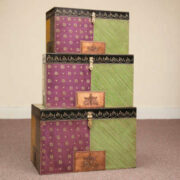 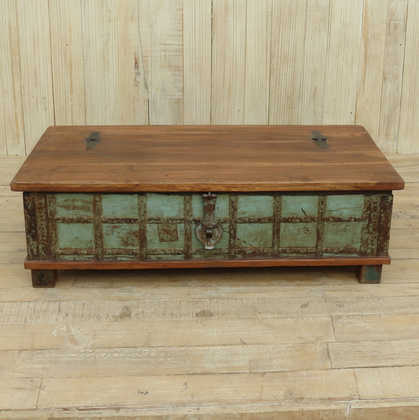 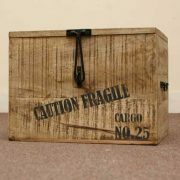 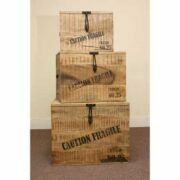 The hinged top of this large wooden trunk has a natural finish, showing beautiful wood grain. 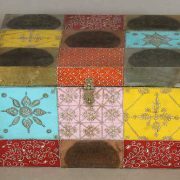 Its front is a rustic turquoise with metal overlay and an ornate lockable clasp while its sides and back are a darker brown. 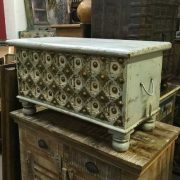 A real showpiece, this trunk would look beautiful in any living room or bedroom while offering a generous amount of storage.